I am still pleasantly surprised when I encounter a new street in Bondi. I do a fair bit of walking in my local neighbourhood but there are still paths that I have never been down. The afternoon light in Bondi is one of the best I’ve seen, and we are even luckier now that it is light until about 7:30pm. 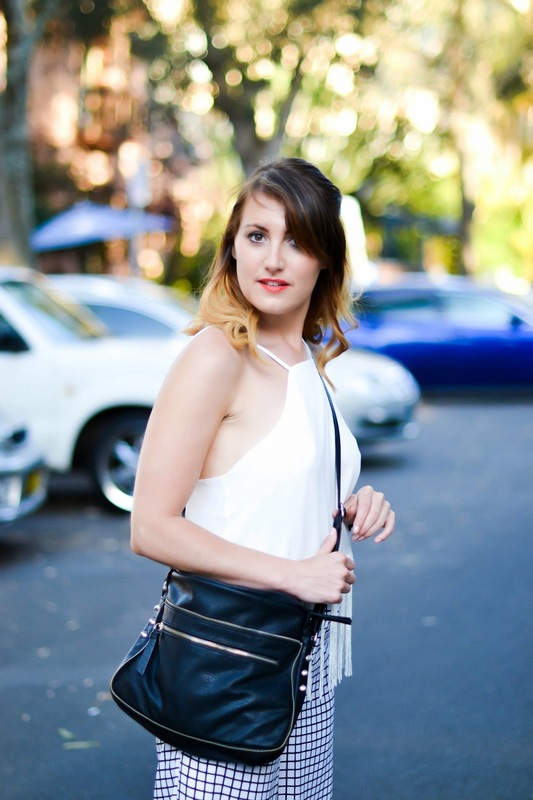 The street I chose to shoot my monochrome look is not far from the beach, but late afternoon I can get away with some of my favourite type of street style shots…….In the road shots! I think I love this type of fashion photography the best. Probably because I am one of those girls that wait in anticipation for the street style shots to be published at Fashion Weeks over what’s on the runway. It’s also the style of photography that inspires me the most. Some of my favourite fashion bloggers (Kristina Bazan and Gary Pepper) capture some of the most beautiful shots on the street, and truly inspire me to love what I do. My friend Andrea and I are finally back into the swing of shooting frequently again. We are constantly on the hunt for a new location and fabulous lighting, thankfully Sunday didn’t disappoint. My look today retracts back to my bohemian style with this delicate fringed top. 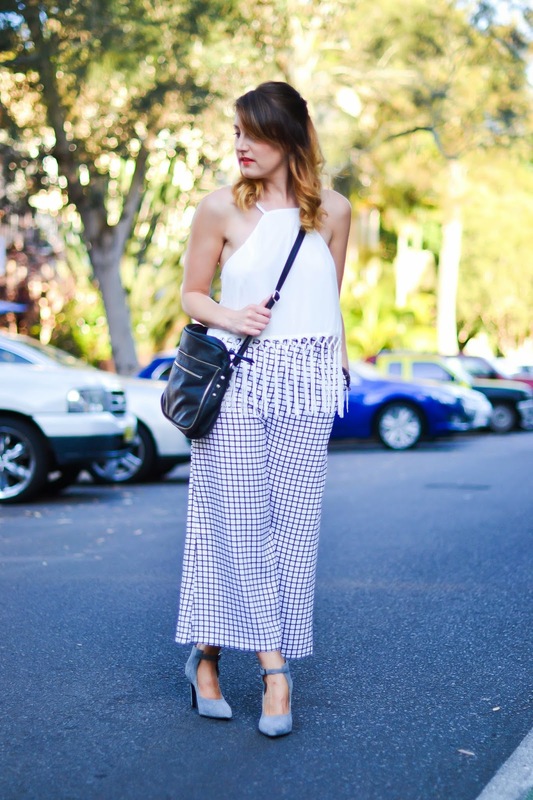 It’s lightweight, so perfect for the warmer days that Sydney is gracing us with. I particularly like how the back of the top dips a little and always opt for backless when I can in summer. Crisp white is always a winner with a tan and I can already sense I’ll be shooting a lot of bright clean looks these next couple of months. 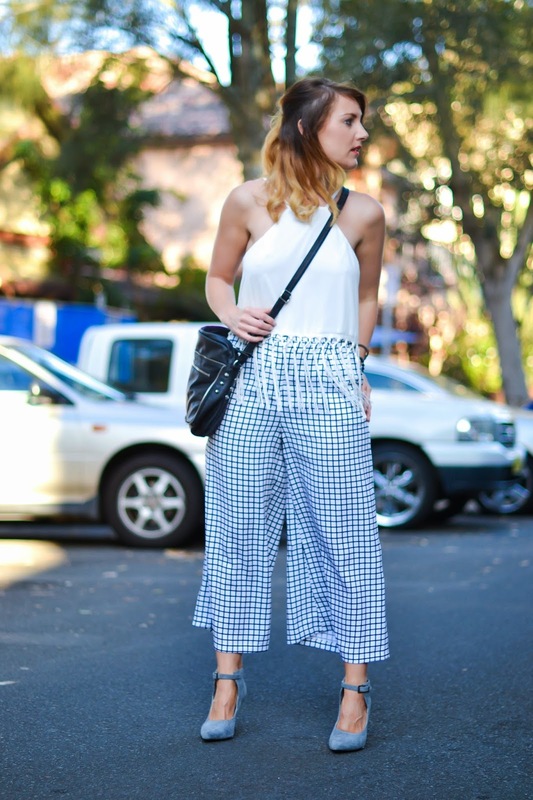 Culottes are still a staple in my wardrobe and could no way pass up on these high waisted wide style. 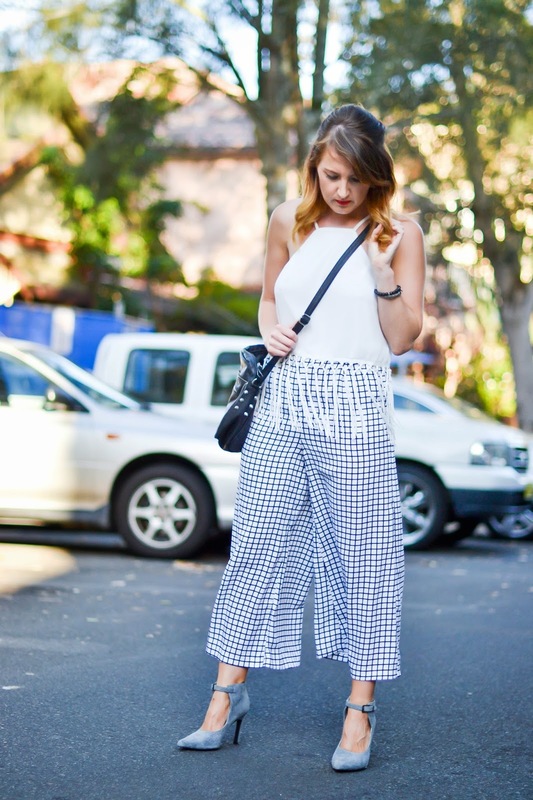 Grids are a must and monochrome will always be a winner in my eyes! There are a couple of events I’ll be attending with Andrea this week, so be sure to stay up to date on my Instagram page @bohochic_nlt. It’s also a place I like to share street style shots with myself behind the camera. Hope you are all having a great week so far!